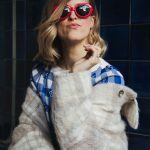 Meet one of my huge insta crushes! Her aesthetics, colour palette, beautiful kids, simplicity – and her stunning natural beauty. Introducing; Vibeke Lentz. I’ve now had the pleasure of sitting next to her at two dinners, and she is so fascinating. Her education and work, which are so far from what she has built up visually. This caught me by surprise. And she’s wearing so many hats! 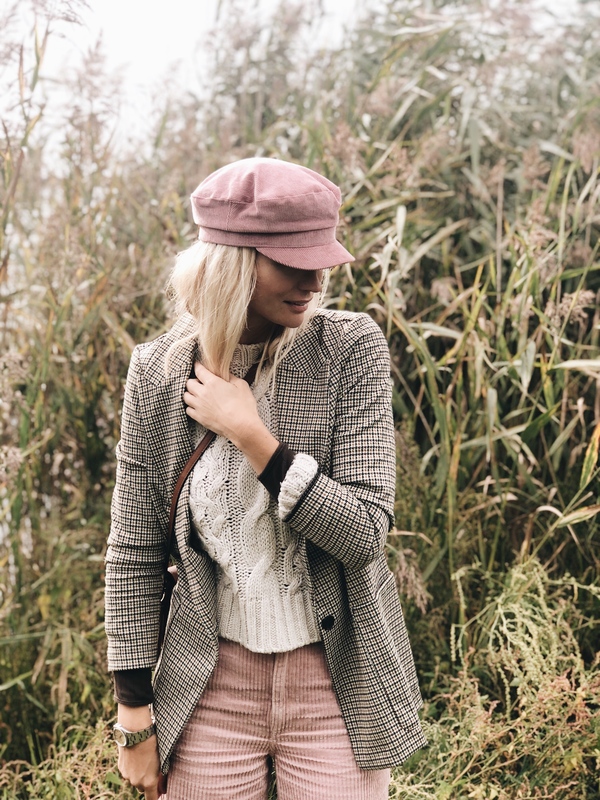 Everything that she’s mastering – she can fill you in herself; take it away, dear Vibeke! 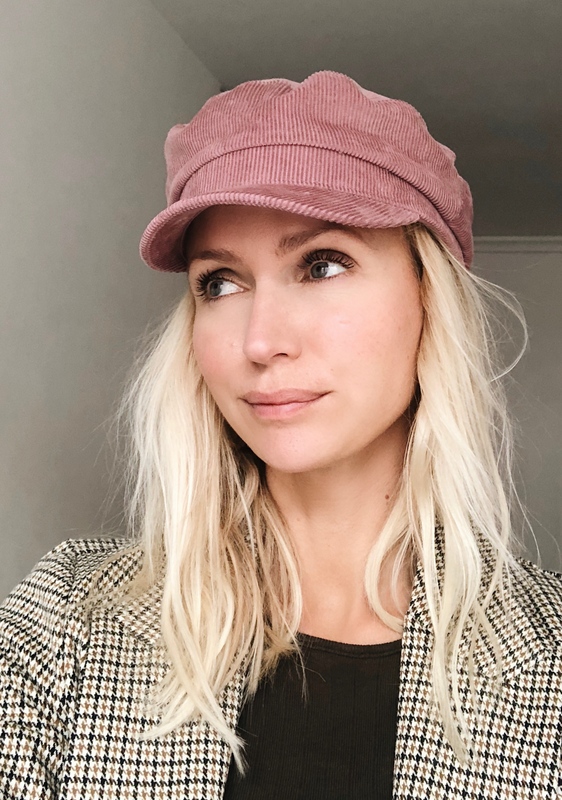 Vibeke, you’re a pretty wild sort of person – you’re nursing manager at an orthognathic (jaw) surgery clinic AND instagrammer AND blogger. With which of these occupations do you primarily identify yourself? I’ve never identified myself based on a job titel, nor have I ever held just a single position. I was scouted by Scoop Models at a gymnastics show in the 7th grade, so in that period I was a student and a model, just as I would help out with paving tasks in my dad’s entrepreneurial business – and that’s how it has always been. I have always had lots of different occupations simultaneously. I’m probably a bit restless by nature, and as such very attracted to the diversity in, for instance, paving tasks in the countryside vs. modelling jobs in London, and to be challenged at all levels. First things first; what did you study? From studying nursing, how did you end up in jaw surgery? 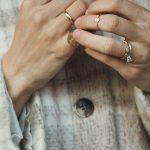 Professionally, I am attracted to clever, engaged people, whether in the nursing business, in the fashion industry or anywhere else – and that was also what I was drawn to when I went into Jaw Surgery. You are a lady boss by day and creatively committed by night. Because, along the way, you’ve also created the instagram profile and blog, Copenhagen Notes, together with your friend. How did the idea arise between you? And where to has it brought you today? We felt the need for an inspirational Copenhagen profil, something less formal and more everyday-like than Visit Copenhagen. Along the way, the profile has changed character slightly, but the stepping stone is still nice venues and experiences in Copenhagen, just as we feature posts on fashion, food and competitions, while we have discovered that what’s central to us are the aesthetics, which we never compromise. Copenhagen Notes is all about tips on restaurants, recipes and cultural experiences. Where do you find your inspiration? When you’re inspired, your energy and abstraction levels seem to increase accordingly, and then I may choose to not do things that others may spend more time on, such as weekly hobbies, shopping sprees, etc. This amount of roles must require a certain type of structure – how do you structure your time? As two of our children have autism, we’ve quite naturally developed a structure – which also means that our afternoons are sacred; 2-5pm is ‘siesta’ time on most days. I often work very early in the morning and again at night, while reserving the afternoons for calm and intimacy. You also consult; how do you help people in this regard? It’s still primarily focussed on SoMe assignments, and several companies find it difficult to figure out how best to approach this topic and keep up with the development and how to use the various channels – and then it’s also completely normal decor and fashion styling jobs. You are a woman of many talents, you’re capable of many things and good at many things. This can be tough at times – choosing how to focus. How do you make sure to pick the right tasks and say no to others? To me, the work environment is the most important factor, as well as the gut feeling before accepting an assignment, just as I need flexible terms, in order to be able to have the above-mentioned siesta, but whether it’s within one industry or another is not something I’ve ever felt a need to define – quite the contrary; I’m constantly evolving because I’m not tied to a strictly set framework. What has been your biggest challenge professionally? Being part of turning the clinic into a hospital and being responsible for the accreditation at the same time. Which challenge are you facing inCopenhagen Notes? And how about you personally? At the moment, we’re taking some time to think about what we want to be the next step for Copenhagen Notes, so currently I can’t say much, but we are in the midst of a super exciting process. Personally, I’ve decided to resign from my nursing manager role by the end of this month, as I’ve reached a point where it just doesn’t make as much sense to me as it used to do. So, for a period of time I’ll be able to do more creative assignments, just as I’ll continue to teach national infection-hygienic guidelines and accreditation to health and dental clinics. Last time I met you, you sort of revealed a few details of how this season equals changes in your professional life. Are you able to go a bit deeper into that now? Along with Signe from the blog (and instagram under the same name) Copenhagenkiddo, I’m in the early stages of setting up Muse Management, a modern event agency. Muse Management sets the scene for those who want an aesthetically pleasing and successful event. It’s everything from smaller receptions, brand and product launches, company parties and weddings to various graphical installations – we are launching this month, and it’s so exciting to be in the middle of a new start-up phase. I don’t operate with business goals. There are just too many things I feel like trying out, and I also know that life constantly changes, and that your own personal development often takes you elsewhere from what you expected. Most important is the gut feeling and that I’m working in good, educational and fun settings. Copenhagen Notes puts a lot of emphasis on aesthetics and beautiful imagery. Just as you do on your own instagram profile,@vibekelentz– a very beautiful and pure universe. What are your three good tips for taking better photos? Identifying what you’re inspired by and starting out photographing within that same field of interest; a great starting point for development. Deciding on an editing style direction and sticking to it, at least for a period of time. Allocating time and editing efforts to your photos. Let’s go back a decade in your career; what are the three pieces of advice you’d give yourself, business-wise? I don’t think I could have told myself anything. What has been far the most useful has been picking up the experiences that I have been exposed to by trying out different things along the way. All I would say is – be excited about testing yourself and try a lot, whether it’s dealing with dementia-suffering Mrs Pedersen’s constipation and neglect from the public health system, the jargon and working style at a construction site, how to conduct meetings with the health authorities and get your points across, acting as a fashion model in South America or making your mark style-wise for a brand. Enjoy it all, learn from it, trust your own experience and gut. If we gaze into the crystal ball, and everything is possible, where are you in ten years from now?